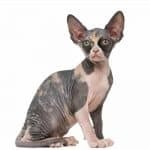 Are You Ready To Adopt A Sphynx Kitten? Ready To Enrich Your Life! Open Your Heart and Home To A Friend For Life! Welcome to Beautiful Bennett Sphynx Cattery. We are family owned and have been in business for 24 years. Our cattery is located in beautiful historic Glendale Arizona. 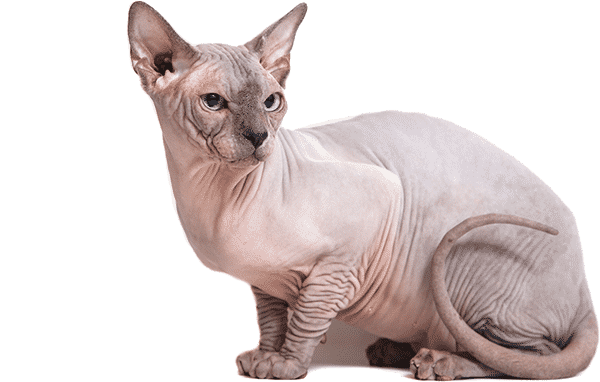 It has and continues to bring our family so much joy to be in the business of Sphynx cat breeding. It is important to us that we share this wonderful, cuddly, loving and unique breed of cat with the world. 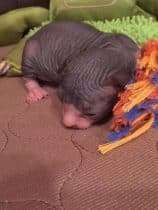 We strive to only produce healthy, happy Sphynx kittens so they can provide their adoptive families with years of love, devotion and wonderful memories. We would love to hear from you! Be sure to contact us with any questions you may have. 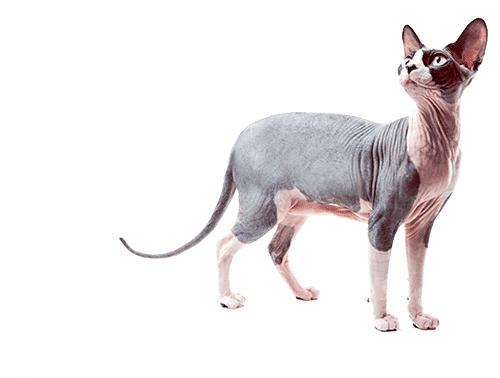 Find out more about our Sphynx Cattery, our Kings and Queens, and why you have found the right place to adopt your new Sphynx baby! 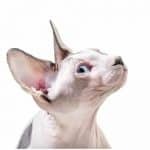 Learn more about the amazing Sphynx cat and why this breed is the right fit for your family! 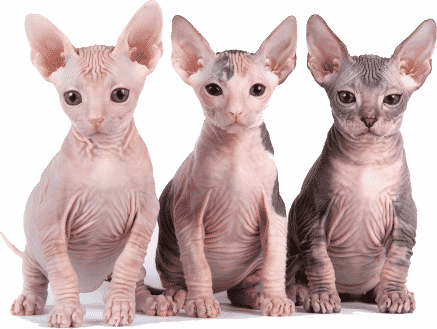 Click here to learn about our adoption process here at Beautiful Bennett Sphynx Cattery! If you still have questions after touring our website or you are just ready to get the adoption process started, please contact us today! View our available and “coming soon” kittens! 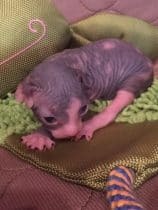 I recently purchased my first Sphynx kitten from Liz Bennett. Since it was my first, I wanted someone with extensive knowledge of the breed. Liz was great. I met her, she explained everything she could about the breed and owning one as well. She was extremely easy to talk to. The purchase and entire day with Liz went very smoothly. 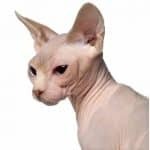 My baby Sphynx is very healthy and is very loving around others and myself.I would recommend buying from her as I plan to do again someday.Don’t hesitate to purchase your Sphynx from her. My name is Les. I bought my first Spynx kitten last year from Breeder, Liz Bennett, in Glendale, Arizona. I’ve never owned a cat before, therefore I wanted a good, healthy kitten and a professional breeder. I found Liz, contacted her leaving a message. She returned my call the same day. I was lucky. She had a litter almost ready to go to their new homes. We made an appointment for my wife and myself to come visit her and see the kittens and parents. We were amazed at her knowledge of the breed. Her place was very clean, which immediately put us at ease. Then, she brought out the kittens that she had available. Of course, the kittens were healthy ( and my wife wanted all of them)!!! It was hard to decide which one to purchase because they were equally cute and cuddly. Fast forward to today. I want to say, my little “girl” is a huge part of our family now. She continues to be healthy and loves everyone. Please, anyone looking to purchase a Spynx kitten, do yourself a favor. Look no further than breeder Liz Bennett in Glendale, Arizona. You will be a return Spynx buyer as we will be… Very soon. Thank you Liz Bennett. You made a man who was dead set on buying another dog… A cat lover. I purchased my first ever Sphynx baby in May 2014 from Beautiful Bennett Sphynx. If I ever had any questions I would contact them, and they would get back to me right away. 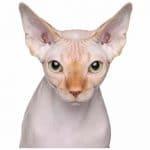 When I put my first down payment on Colby I was so excited but nervous at the same time because this was the first Sphynx I had ever owned, but Beautiful Bennett Sphynx told me how to take care of my kitty the right way and keep him healthy so it made me less nervous. When I went to go pick up my baby and take him home for the first time I was so excited!!! 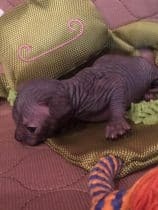 Beautiful Bennett Sphynx kept in contact to see how Colby was, and that made me feel great because it shows that they care for every single baby that they have! !